Members of a Melton residents’ group will be discussing anti-social behaviour and parking issues at their next meeting on Tuesday October 24, at The Cove community centre. 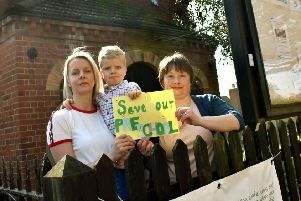 Tina Culley, chair of Residents’ Action Group Egerton (RAGE), said: “We would like people to attend at 6.30pm for refreshments, for a 7pm start. RAGE is a well-established residents group which tackles anti-social behaviour and issues which affect daily lives on the ward as well as providing heavily subsidised outings to the seaside. Email tina.culley.egerton@gmail.com for further details.